The Nigerian Civil Aviation Authority (NCAA) on Wednesday said airlines operating in the country recorded 19,323 cases of delayed flights in six months in 2018. The regulatory agency said that the airlines also cancelled 348 flights for various reasons during the period under review, that is January to June. Muhtar Usman, the NCAA Director-General, made the disclosure at an Interactive Forum with Aviation Agencies and Airlines’ Information Managers in Lagos. Usman said: “The eight domestic airlines recorded a total of 16,880 delayed flights with 253 cancellations. According to him, flights can be delayed or cancelled for safety and operational reasons, especially during adverse weather conditions, but they must be done in accordance with standard civil aviation regulations. He said that all airlines had been warned against incessant flight delays and cancellations. Usman said that aviation authorities were also working toward creating a more enabling environment for their operations. He said that NCAA had also intensified its economic and safety regulations on the airlines in line with the Nigerian Civil Aviation Regulation Act. Usman said: “Airlines must render their monthly financial obligations in line with the provision of aviation regulations. Airlines must submit financial health returns. The Director-General said NCAA had begun the process of streamlining aviation charge, saying that the charges were quite moderate when compared to other countries. 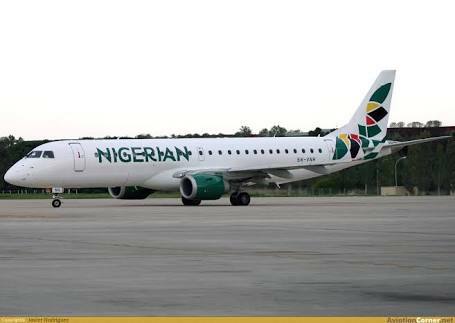 “There are some existing charges in other countries that are not applicable in Nigeria and this is not to overburden airlines,’’ Usman said.